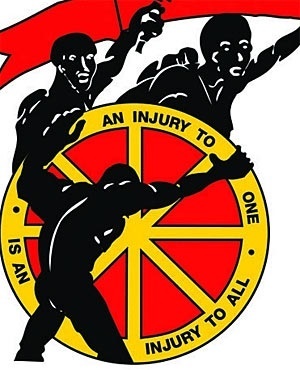 Cape Town – The Congress of SA Trade Unions (Cosatu) said in a statement on Tuesday that it was disappointed that government would not be able to implement the national minimum wage by the original May 1 deadline, but said this presented an opportunity to perfect its draft laws. In order to bring the national minimum wage into full effect, Parliament must deliberate on and pass the National Minimum Wage Bill, the Labour Relations Bill and the Basic Conditions of Employment Bill. However, Minister of Labour Mildred Oliphant admitted on Monday evening that Parliament still had too many processes to take the draft laws through for the National Assembly and the National Council of Provinces to pass for President Cyril Ramaphosa to sign into law by Workers’ Day. In the statement parliamentary coordinator Matthew Parks said the delays allowed for the union to make critical submissions on the bills to ensure that the national minimum wage is foolproof. “These amendments are aimed at ensuring there are no loopholes for business to avoid paying workers a national minimum wage, to ensure that farm and domestic workers are fast-tracked to a national minimum wage, to ensure that workers receive above inflation increases in the national minimum wage yearly, to protect sectoral determinations and to strengthen penalties for businesses who ignore the law,” the statement said. Parks said Cosatu believed Parliament had been given enough time to finalise all its work on the three bills. He said Cosatu asked for some time to make submissions, to which Parliament agreed. “We are confident that the National Assembly will conclude its work and adopt the bills by April 26 and that the NCOP will complete its part during May. We are confident that the national minimum wage will then come into effect in June,” Parks said.